If you’ve been around IncomeDiary for awhile, I’m sure you’ve read a post or two about how bloggers can make money online. But a lot of the ways that bloggers traditionally make money with their websites are becoming normal. My goal today is to show you how ten big companies make money online in weird, outside-the-box ways. Leaping from $30.5 million in year one to $713.4 million in year two, Groupon is the fastest growing company in the history of the world. Groupon features local daily deals around the world. 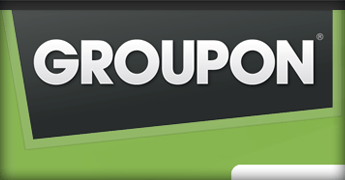 Companies choose to set up a group coupon that Groupon sells for a day and keeps a percentage of the price of the coupon (usually around 50%). The reason it works so well is because the deals are 50-95% off, they only last a day, and nobody gets their coupon if they don’t sell a predetermined number of coupons. So when people buy the coupon, they tell their friends to get it too. If they refer three people, they get the Groupon for free. Started as “Air Mattress, Bed, and Breakfast,” Airbnb is an online service that matches people who want to rent out a room with vacationers who are looking for short-term rentals outside of the traditional hotel. Airbnb has been labeled as “among the next generation of multibillion dollar startups” by the New York Times. They charge travelers a 6-12% service fee and require hosts to pay a 3% fee for every booking through their site. With this business model, Airbnb was valued at $1 billion in July 2011. Zynga is the company behind many of the world’s top social networking games including FarmVille, CityVille, and Mafia Wars. They’re reportedly valued at $15-20 billion. How does Zynga Make Money? Zynga makes money through people purchasing credits within their games and through partnership agreements with large companies. Using FarmVille as an example, players use real money to purchase “Farm Cash” so they can progress in the game. FarmVille also conducted an ad campaign with McDonald’s where people could, for one day only, visit the McDonald’s farm, grow tomato and mustard seed crops, and earn McCafe Consumables so their farms would grow faster. In March 2010, Zynga also started selling prepaid cards for virtual currency at more than 12,000 stores across the US. I remember seeing FarmVille gift cards at a 7-Eleven in downtown Denver and thinking, “there’s no way anyone would buy that…would they?” I was wrong. World of Warcraft, more affectionately known as WoW, is an online role-playing game owned by Blizzard Entertainment (now Activision Blizzard) with the world’s largest online gaming userbase: 11.1 million subscribers as of June 2011. How does World of Warcraft Make Money? Activision Blizzard makes money with WoW by charging $15 per month to play the game. They also sell physical discs and expansion packs. It’s the bloggers equivalent to a membership site with upgradable accounts. A neat factor about their game, however, is that people can play the game, collect virtual gold, and sell their gold for real money. People and companies, yes companies, make a full-time income doing just that. Then they sell their high-ranking profiles to people who want to skip the grunt work of running through the first portion of the game. Dropbox is a Web-based file hosting service that lets people save their documents, photos, etc. to the cloud so they can access them from any internet-connected device. It was started in 2007 by a pair of MIT graduates through the Y Combinator. How does Dropbox Make Money? Dropbox operates under a freemium business model where people can get started for free, but pay for more space as they want to host more files. Dropbox is expected to reach $100 million in revenue by the end of 2011. 99designs hosts graphic design contests where graphic designers compete to create logos for clients. As a result of these competitions, clients get to choose from an average of over 90 logos and only the winning designer gets paid. How does 99designs Make Money? Clients post logo and other design projects and pay upfront. Then designers submit their logos to the client. The client selects his favorite and the designer gets paid, minus a small fee that goes to 99designs. UserTesting.com offers low cost usability testing experiments where you can hire their army of independent usability testers to look at your website and give you a detailed report on what they think. How does UserTesting.com Make Money? They typically charge $39 per usability test and they pay their testers $10 per test. So they keep $29 per test for setting up the systems and processes that make this previously daunting task simpler. The beauty of this company is that they can hire anyone – in fact the less savvy the better – to perform these usability tests. Woot pioneered the one-deal-a-day online business model where they feature one incredible deal every day. How does Woot Make Money? Much like Groupon, they use creative copywriting and limited-time offers to sell other company’s products on their homepage. Since they drop-ship these products, they don’t have to offer customer support or manage overhead like traditional companies. As you probably guessed, they get a cut of every sale. In June 2010, Woot was acquired by Amazon for an undisclosed amount. QuiBids offers a radical take on the long-established internet auctioning industry. People have reported receiving up to 95% off things like $3.52 Apple iPads and $1.07 Nike putters. The catch is that it costs you $0.60 to place a bid and you have no guarantee of winning the auction. How does Quibids Make Money? Some products receive upwards of 1500 bids which means QuiBids is taking home $900 in revenue just from people making the bids. But QuiBids claims that they maintain a 5-10% profit margin as a company because they end up losing money on 50% of the things they sell. Any Lucky Day is a smaller company that’s run by a young entrepreneur named Giancarlo Massaro. Similar to Woot, they profile a company-of-the-day. But instead of selling the company’s product, they hold a contest where they give the product away. How does Any Lucky Day Make Money? It costs a base price of $150 for a company to be featured on Any Lucky Day. They also offer a few upgraded options including publishing rights and a small listing for an extra $50 apiece. Compared to traditional advertising like magazines and billboards, $150 is an incredible deal with seemingly more engagement because you have to visit the company’s website before you can enter the contest. The point of this post was to get you to start thinking outside the box on how you make money with the internet. You can continue to place sidebar ads and promote affiliate products, but the internet is your oyster when it comes to all the options you have for monetizing your website. Remember, making money from a blog is bizarre to most people. So you’re on the right track. Do you know of any other companies with weird, outside-the-box monetization strategies? These are some creative internet business models. Cool post! Thanks Scheidz! You seem to be hogging all the comments. Well done ;). Thanks Nick, I really like this post! Thanks for the good information and this article broaden my idea as well. What’s more, I think you should add fiverr.com as well because their business model is excellent. Hey Suwat! Fiverr made the original list but I decided to include Woot instead since it pioneered the whole daily deal concept. I’m glad we’re on the same page though. I haven’t seen anything about them getting acquired. Do you know something I don’t, David? Ah, I knew they were up to something else as well. Thanks for sharing. I really enjoyed reading this post. I had never heard of usertesting.com, I’m gonna check out their business model a little closer. Thanks! Yeah, I’m tempted to try it out just since it’s so cheap. Very interesting for sure! Thanks. Should You really be promoting illegal activities? Although some companies may do this, Blizzard is completely against it. I read that it wasn’t illegal, just strongly discouraged. I’ll take another look at this. Thanks for keeping me on my toes, Joey. Woot! 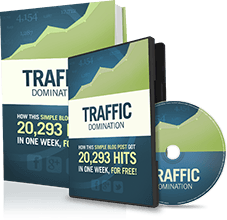 is like affiliate marketing in steroids! …that opened my eyes a bit. I’m glad, Donna. That’s what we’re here for. Wow this is a great list with some really interesting business concepts. Time to start thinking outside the box a bit more. Nicholas, your post always facilitate the opening of the mind. Congratulations! Thanks for including us in this article Nicholas. It is an honor to be included with some of these billion dollar businesses. Just to clear up some rumors I see in other comments: yes, we were in the process of selling AnyLuckyDay but decided to hold onto it and continue to grow the business. Hey there, Giancarlo! I think you’re well on your way. Keep it up. Hi , I loved this post very much, all these names I didn’t hear about them till now, and I joined to 99designs really they are very great offers, and goes with my work (I’m Photoshop designer) so I will get benefits from 99designs. I wanted to hear about fiverr from you, is fiverr worth to work with? So, Nicholas thank you very much . Great blog, thanks for sharing. I will for sure visit once again. Great list. 5 Stars!!! Excellent ideas! I think these business around here in Internet are all effective especially fiverr. However, People should focus to only one and master it because as what they said, you can never serve 2 masters at the same time. In that way, you will be able to identify what failed you and what makes you successful.